Chassis pool operations at ports in Georgia and South Carolina will shift later this year to a new entity created by the North American Chassis Pool Cooperative, and equipment at the facilities will be expanded and undergo a series of improvements, the group said. The Federal Maritime Commission on Aug. 2 gave final approval to the Georgia Ports Authority and the South Carolina Ports Authority to shift pool operations to a new entity created by NACPC called the Southern States Chassis Pool. While NACPC will own and operate the new entity, equipment and personnel from the ports’ previous chassis provider, Consolidated Chassis Management, will remain in place, said Dave Manning, president of Nashville, Tenn.-based transportation company TCW and chairman of NACPC. Manning also is chairman of American Trucking Associations. “We will be contracting with CCM to manage the new pool…instead of CCM owning the pool,” Manning told TT. NACPC is a chassis pool cooperative founded in 2012 by TCW and 10 other trucking companies. 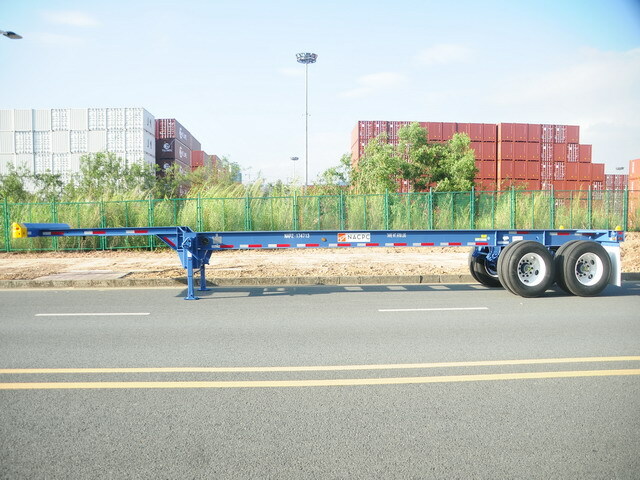 A chassis pool consists of a group of third-party owned chassis domiciled at a facility and available to shipping lines and truckers for short-term rental. 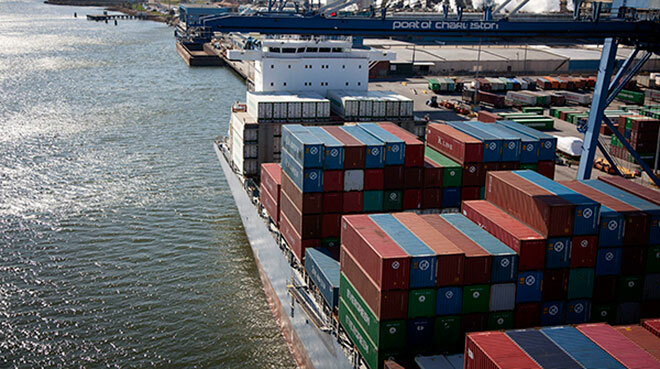 Seafaring ports in Jacksonville, Fla., Tampa and North Carolina have been invited to join the new pool, NACPC said. It will take more than a year to complete the full transition from CCM to NACPC, Manning said. During that time, the group will respond to concerns about chassis shortages in the southeastern United States by expanding the number of available chassis at the facilities from the current 52,000 and complete some upgrades, Manning said. “There is an 18-month plan for it all to be upgraded to radial tires, LED lights and [anti-lock brakes] plus add the five-to-10,000 new chassis to the fleet,” Manning said. The switch to radial tires is especially important in these regions, he noted. The port authorities in Georgia and South Carolina said they are responding to the demands of drivers who want better equipment. NACPC said the additional chassis will dramatically improve availability of equipment at the ports and reduce the spot shortages that take place during peak periods. The goal is to reduce to 65% from 85% the number of chassis that are in service at any one time, Manning said. By doing that, NACPC said it should always have enough chassis on hand and be able to also cover maintenance and other issues. While NACPC has not yet set its chassis rental fee, others it operates typically charge $14 to $15 dollars a day. Truckers will pay a single rate, and the service will be provided with at-cost pricing with no profits distributed to NACPC’s owners, Manning said. Nashville, TN (May 23, 2018) – Due to growing demand, The North American Chassis Pool Cooperative (NACPC) is announcing the addition of 1,000 units to the South Atlantic Chassis Pool (SACP). These are all CIMC constructed chassis with LED lights, ABS, and OEM Radial tires and will all be operational by June 1st, 2018. The new chassis would be an addition to the current pool operated by Consolidated Chassis Management (CCM) in SACP, which services a large region from Wilmington, North Carolina, to Jacksonville, and West to Atlanta. The North American Chassis Pool Cooperative, or NACPC, was founded in 2012 with the goal of providing a modern fleet of chassis to users with at cost pricing. The cooperative is committed to supporting the U.S. intermodal container network with an efficient chassis inventory. Use of NACPC chassis is open to all qualified motor carriers. Contributory “gray pools” allow users to draw any chassis from the pool regardless of ownership. The contributory pool model thus eliminates duplicative costs and maximizes the use of limited space at port and or inland intermodal locations by obviating the need for a contributor to have its own chassis storage facility. It also ensures an adequate supply of chassis for all users. Contributory gray pools foster competition by allowing motor carrier users to select from more than one chassis provider. The pool managers are responsible for chassis logistics, inventory supply, maintenance and repair and the repositioning of the chassis, but usage arrangements are determined between the chassis contributor and its user. Currently, NACPC operates more than 20,000 chassis in five CCM managed pools; MCCP, COCP, MWCP, GCCP and SACP as well as the new OCEAN-N pool; governed by FlexiVan and NACPC, where data is managed by CCM and M& R is managed by FlexiVan. FlexiVan and NACPC are pleased to announce that OCEA-N pool operations at the Port of New York and New Jersey will commence Monday, May 14, 2018. The new Open Choice Equipment Agreement – Northeast (OCEA-N) is a port-wide cooperative chassis pool that offers motor carriers the option to engage and negotiate with the chassis provider of their choice. Typically in most pools, ocean carriers dictate the chassis provider for both carrier and merchant haulage moves, even when they are not responsible for the costs. Otherwise known as “box rules,” this has ultimately led to increased operating costs and inefficiencies for motor carriers. The interoperable OCEA-N pool will not only provide IEPs and motor carriers true choice of their chassis provider, but also offers a fleet of premium chassis that can transit all marine terminals at the NY/NJ port complex. The fleet will consist of premium 20’, 40’ and 40’/45’ chassis, all equipped with LED lights, ABS brakes and radial tires. Meanwhile, the pool is governed by strict business rules to ensure higher standards for fleet quality, with chassis marked “OCEA-N” in black and white to distinguish each unit. OCEA-N is open to participation by any qualifying chassis supplier, with initial contributors being FlexiVan and NACPC. A third party has been contracted as Pool Manager, following the rules and regulations set forth by the NACPC FlexiVan Chassis Pool, LLC (“NFCP”). OCEA-N offers competitive tiered pricing based on usage periods of 1-10 days or 11 days or more, with all usage invoices issued by the Motor Carrier’s chassis provider of choice. The common start/stop location will be at Ironbound Intermodal Industries in Newark, NJ. All interested parties can register for OCEA-N using the Pool Chassis Customer Registration Form. FlexiVan and the North American Chassis Pool Cooperative (NACPC) are pleased to announce the establishment of a new cooperative chassis pool for the Port of New York and New Jersey. The pool is expected to commence operations during the first quarter of 2018. The Open Choice Equipment Agreement – Northeast (OCEA-N) is a port-wide gray chassis pool servicing major cargo, freight and equipment handling facilities in the port complexes of New York and New Jersey. OCEA-N will be governed by the NACPC FlexiVan Chassis Pool, LLC and operated by a single pool manager. It will be open to participation and contribution by any other equipment providers that meet the basic contributory requirements. Contributory pool that is open to participation by any qualifying chassis supplier. Fully interoperable chassis fleet with port-wide coverage. “Open Choice” allows all users to negotiate with and select the chassis provider of their choice. Premium equipment – Radials and LED. Business rules that encourage continued equipment upgrades. Open choice refers to the right of a motor carrier or shipper to select their preferred chassis provider. As an example, most pools operate under ‘box rules’ where the ocean carrier dictates the chassis provider (both for carrier haulage and merchant haulage moves), even when they are not responsible for the costs. OCEA-N does not prevent or limit choice, but rather the motor carrier, BCO or other responsible parties are free to select the chassis provider of their choice. OCEA-N and FlexiVan’s NERP pool will be interoperable on day one. It is hoped that other chassis pool operators will also agree to participate within the OCEA-N pool and thereby provide the NY/NJ port with a single port-wide grey pool, yielding the same advantages to all stakeholders. As a leader in intermodal chassis leasing services in North America since 1955, FlexiVan continues to set the bar for industry excellence and the customer experience. FlexiVan manages over 130,000 quality units in over 30 depots and 300 locations across the country. Nine service centers are strategically located in key markets, providing easy access to top-quality M&R services. Our innovative FlexiDay® daily rental product provides a cost effective solution to motor carriers, while our new proprietary ChassisNow booking system offers enhanced reporting and communication tools to facilitate the booking, dispatching and overall chassis leasing process. Professional, cost effective transportation solutions – Experience Delivered. 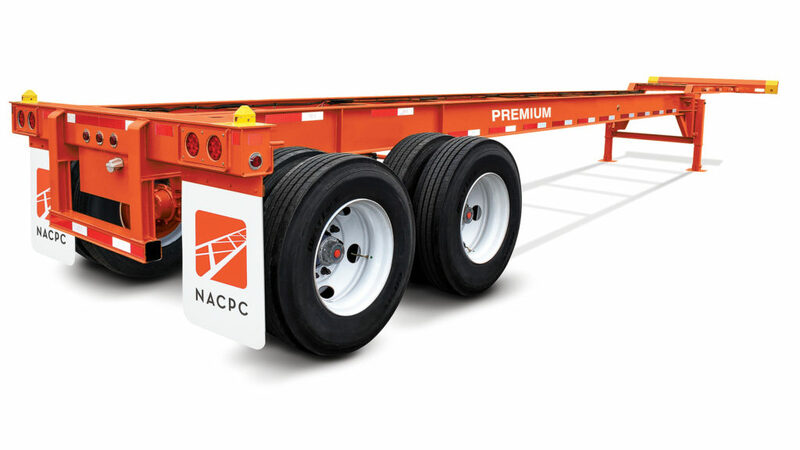 The North American Chassis Pool Cooperative, or NACPC, was founded in 2012 with the goal of providing a modern fleet of chassis to users with at cost pricing. The cooperative is committed to supporting the U.S. intermodal container network with an efficient chassis inventory. Use of NACPC chassis is open to all qualified motor carriers. For more information, please visit www.NACPC.org. Furthering the NACPC vision of a modern chassis supply nationally, supporting the US intermodal container network with a transparent set of economics, The North American Chassis Pool Cooperative (NACPC), proudly announces the addition of 1,200 new chassis that will be integrated into their SACP and COCP Common-Use and Premium Chassis Network. The addition of these chassis to NACPC’s Common-Use Pools, also known as “gray pools,” allow users to draw any chassis from the pool regardless of ownership. By removing the need for a contributor to have its own chassis storage facility, the contributory pool model eliminates duplicate costs. This maximizes the use of limited space at port and or inland intermodal locations, ensuring an adequate supply of chassis for all users. For shippers, Intermediaries, 3PLs and motor carriers planning to increase their bottom line, NACPC delivers the superior chassis solution. A state-of-the-art fleet of chassis equipped with radial tires, LED lights, ABS and auto inflation systems as well as intermodal neutrality in Common-Use Pools at a reasonable “at cost pricing” structure. A boost for your return-on-investment. Currently, NACPC operates more than 20,000 chassis in five Common-Use Pools (Managed by CCM) and Premium pools; MCCP, MWCP, COCP, GCCP and SACP. The pool managers are responsible for chassis logistics, inventory supply, maintenance and repair and the repositioning of the chassis. Usage arrangements are determined between the chassis contributor and its user. These contributory gray pools foster competition by allowing motor carrier users to select from more than one chassis provider. New Orleans, LA – After significant input from the local drayage community and Ports America, The North American Chassis Pool Cooperative (NACPC), announces the launch of a Premium Chassis Pool in New Orleans, Louisiana. This 40-ft. premium pool is fleeted with NEW chassis with radial tires, LED lights, ABS and auto-inflation systems. The NACPC New Orleans Premium Chassis Pool can be leased direct to motor carriers or beneficial cargo owners for daily, short and long-term use – allowing MCs and BCOs to take advantage of NACPC’s at-cost pricing model. There are terms and conditions specific to acquisition and return of these units to Ports America so be sure to contact your NACPC representative or Ports America for complete details. North American Chassis Pool Cooperative (NACPC) is proud to announce that while the competition’s pricing has continued to increase several times each year for the past several years, their current pricing for Pool and Premium chassis will be maintained at current levels. Updated rates for competing chassis providers were effective March 1, 2017 or will go into effect April 1, 2017. NACPC’s “at-cost” pricing model will remain unchanged. As the competition increases rates due to the result of higher labor costs, inventory and fleet enhancement efforts, NACPC pricing will not change. “While maintaining our pricing model, we also continue to invest in our equipment and expanding our footprint. We are currently operating in four major pools COCP, SACP, MCCP and the GCCP. At the same time, we have Premium Pools in Savannah, Houston, Mobile and the Ohio Valley. Operations in Charleston and Detroit should be on line for use in the next few weeks,” adds Manning. NACPC is supported by a partnership with Consolidated Chassis Management (CCM) which manages the NACPC chassis pool contribution. CCM was formed to address industry needs in developing a more efficient model for operating chassis. CCM is the largest cooperative pool manager in the US, overseeing some 130,000-chassis offering pool management, private fleet and chassis data management services including the NACPC chassis fleet. “We are the back-room operations group managing a combined fleet of multiple entities and we are happy to facilitate NACPC’s growth and continued dedication to the “at-cost model,” says Jon Poelma, Chief Operating Officer of Consolidated Chassis Management. Owned by OCEMA, CCM was formed in 2005 to help in developing a more efficient model for operation chassis. They manage 150 employees with 100 of them on the field and equipment at over 300 locations nationwide including M&R and logistics. They are committed to managing safe and reliable equipment. “Our experienced, dedicated and knowledgeable staff ensure safe and reliable equipment is made available to the user community. We work closely with our maintenance partners, ocean carriers, railroads, marine terminals and motor carriers to ensure we are meeting their needs. Members like NACPC are free to contribute chassis into the pools and find the economies of scale in the gray model. By allowing different provision models CCM has the flexibility to meet each of its customer’s business requirements,” adds Poelma. NASHVILLE, TN (August 01, 2016) – Responding to growing customer demand, the North American Chassis Pool Cooperative (NACPC) continues to offer off-dock premium chassis solutions with a new premium pool in Savannah, Georgia. These chassis will be available for direct lease to motor carriers using NACPC’s at-cost pricing model. Effective August 01, 2016, NACPC, in partnership with Consolidated Chassis Management (CCM), will commence operating a pool of 40-ft premium chassis available for short and long-term use. These modernized chassis are equipped with radial tires, LED lights and auto-inflation systems – making them among the newest and safest on the market. Whether for motor carriers or beneficial cargo owners, premium chassis are proving to be an excellent solution for customers who place the utmost value on driver safety and cost-effective operations. We are excited to announce that, due to growing customer demand, NACPC will now offer off-dock premium chassis solutions in Houston. These chassis will be available for direct lease to motor carriers using NACPC’s at-cost pricing model. Effective July 5, 2016, NACPC, in partnership with Consolidated Chassis Management (CCM), will commence operating a pool of 40-ft premium chassis available for short and long-term use. These modernized chassis are equipped with radial tires, LED lights and auto-inflation systems on some units – making them some of the newest and safest on the market.